particular efficient way. Antioxidant vitamins protect the synovial cells against free radicals and support cartilage metabolism. Contents: 144g = 180 VegeCaps each containing 660 mg.
13 highly available natural substances give you strong joints and help you maintain mobility and flexibility in your joints and maintain healthy bones. Natural, antioxidant vitamin C protects joint cells from free radicals and oxidative damage. All vegan. Please klick on "Ingredients:" and see the list in the table. 6-12capsules a day (2-4 capsules with each meal). Have difficulty swallowing pills? Just open the capsules and sprinkle the contents over your food. 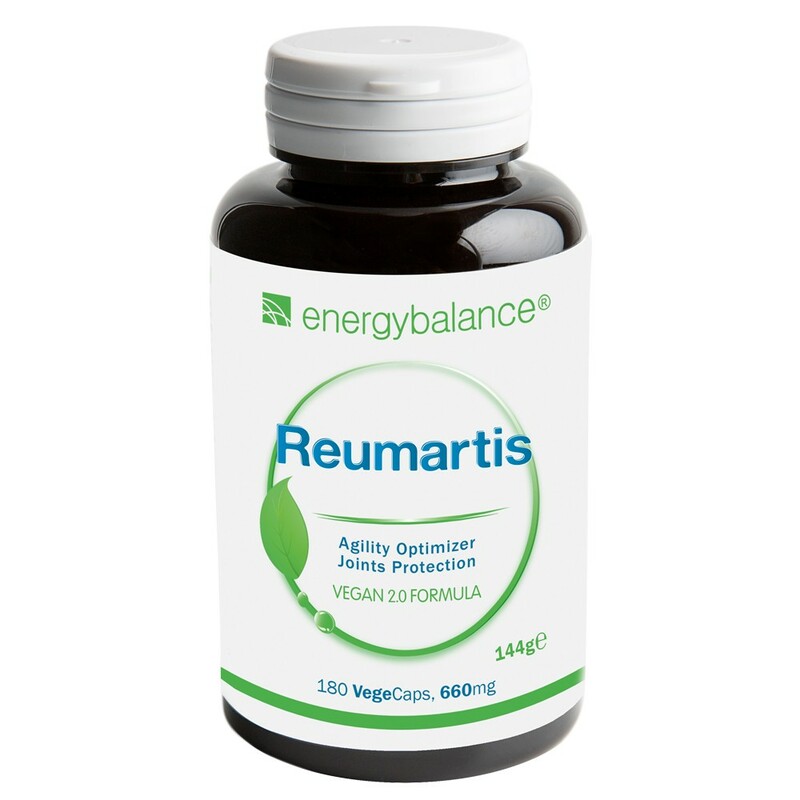 144g = 180 VegeCaps each containing 660mg highly bioavailable Reumartis™ No.1. ORAC = 40'288 / 6 Vegecaps.